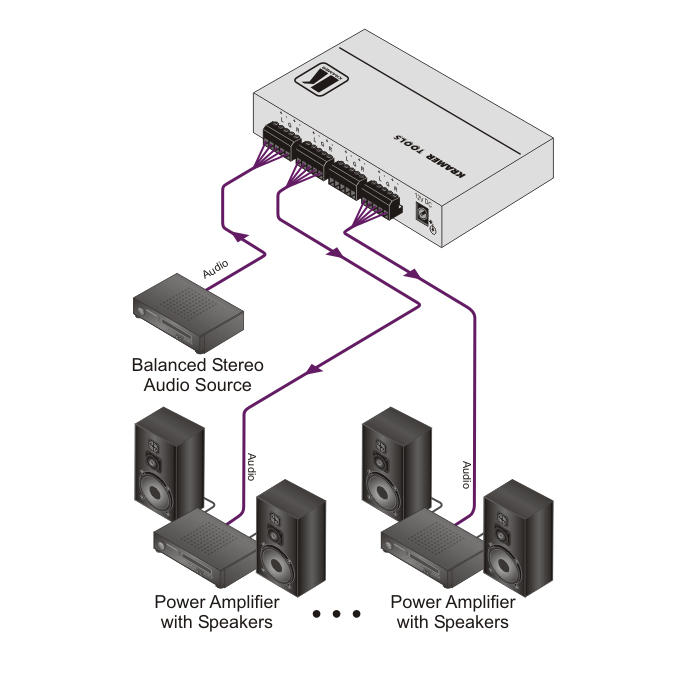 The VM-3AN is a high-performance distribution amplifier for balanced stereo audio signals. The unit takes one stereo input and distributes the signal to three identical outputs. L & R Level (Gain) Controls.